What types of massage do you do? 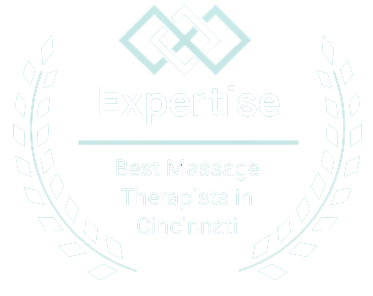 A. Massage therapy is the art of moving the soft tissue of the body for therapeutic purposes. Massage can have a sedative or energizing effect on the body. The massage therapist may use a combination of techniques depending on what your needs are. Lotions and creams are used to reduce friction and increase the comfort of the techniques. Q. What types of massage do you do? A. I am trained in Swedish, deep tissue, trigger point and Myofascial Release Therapy. A. You will need to fill out a health history form. Afterward we will discuss any special conditions or areas that need special work. Depending on your problems we may do some assessing and testing techniques. It is important to list all medications and health concerns as well as allergies. We want to avoid any discomfort due to scented lotions. My lotions and creams are paraben free. Q. What should I wear during the massage? A. You undress to your level of comfort. About half the clients undress completely the other half undress to their underwear. You undress in complete privacy before you get on the table where you are draped with a sheet and blanket. You are completely draped at all times with the exception of course of the area being worked on, for example the back, arm or leg. A. Appointments can be changed with a 24 hour notice. Unfortunately if you cancel or are a no-show with less than 24 hr notice you will be charged for your treatment or in the case of a gift certificate or coupon it will be forfeited. While this may seem harsh there is only one of me and ,any of you. Believe it or not there have been days when I have received up to three no shows or last minute cancellations. That is lost time that can't be recovered and quite frankly is rude. Q. What organizations do you belong to? A. I am a member of the AMTA American Massage Therapy Association. I also belong to the Ohio and Kentucky chapters of the AMTA. Kentucky requires 24 hour of continuing education to remain licensed and the AMTA requires 48 hours of continuing education every four years to remain a member. Q. What is your experience and training? A. I have been licensed for over 15years, graduating from SHI in Lebanon, Ohio. In that time I have taken hundred and hundreds of seminars and continuing education programs in areas such as trigger point work, deep tissue techniques, sports massage, myofascial release, TMJ disorders and much more. I have also trained in other health modalities such as energy work (Acmos) and other body work such as (KST) Koren Specific Technique. You will find info on these modalities on my website. Science is continually improving our understanding of the biomechanics of the body and the way the spirit, body and mind connect to create the total person. The State of Kentucky to its credit requires 24 Continuing education credits every two years to stay licensed. In addition I take many other seminars and ceu classes just to keep up because learning is a lifelong project for me. As I have stated many times all the training in the world does not mean anything to the client if it can't be translated into resolving a client's pain and more importantly working to prevent problems in the future. Listed below is a portion of the many courses and certifications I have taken.